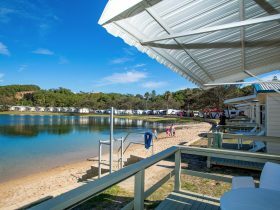 Pelican Caravan Park features broad river frontage on the Nambucca River. 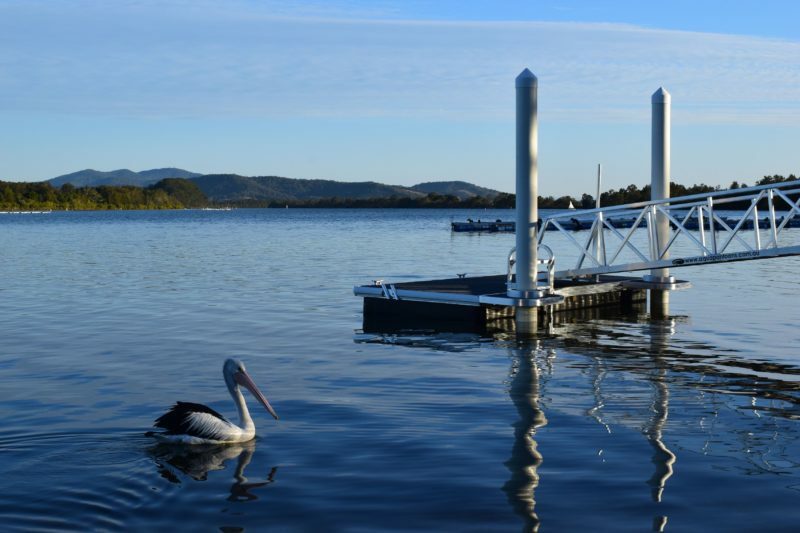 They boast many features including a private boat ramp, jetty and pontoon, pool with wading pool, riverfront camp kitchen and free Wifi. They offer a range of riverfront cabins, standard cabins, riverfront powered sites, powered sites and unpowered sites for guests. The park has recently been bypassed which has removed the highway noise. Whilst it has always been a beautiful location, they can now add tranquil to the list. If you have stayed in the past and found it too noisy, or been put off by the proximity to the highway, then come and experience the difference. You won’t be disappointed. For the more budget conscious traveller, set back from the river, a Standard Cabin features: main bedroom with all linen supplied, three bunk beds, reverse cycle air-conditioning, kitchenette with microwave, bathroom with shower and toilet, television, couch, dining setting, outdoor sitting area and parking space for car and boat. Main bedroom overlooking the water with linen supplied, second bedroom contains three bunk beds, sofa bed, reverse cycle air-conditioning, large deck with water views, bathroom with shower and toilet, kitchenette with microwave, full size fridge, flat screen television and dining setting. 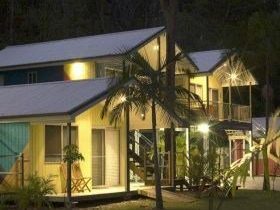 Situated on the banks of the picturesque Nambucca River, cabins feature: double bed with all linen included, reverse cycle air-conditioning, bathroom with shower and toilet, kitchenette with microwave, full size fridge, deck with outdoor setting overlooking river, television, couch and dining setting. Duplex cabin set 2.4 metres up looking out onto the Nambucca River. One bedroom cabin with a queen bed, bathroom, kitchenette, reverse cycle air-conditioning, dining table and sofa bed. The deck features an outdoor setting complete with a rocking to chair to relax and soak up the beautiful views. 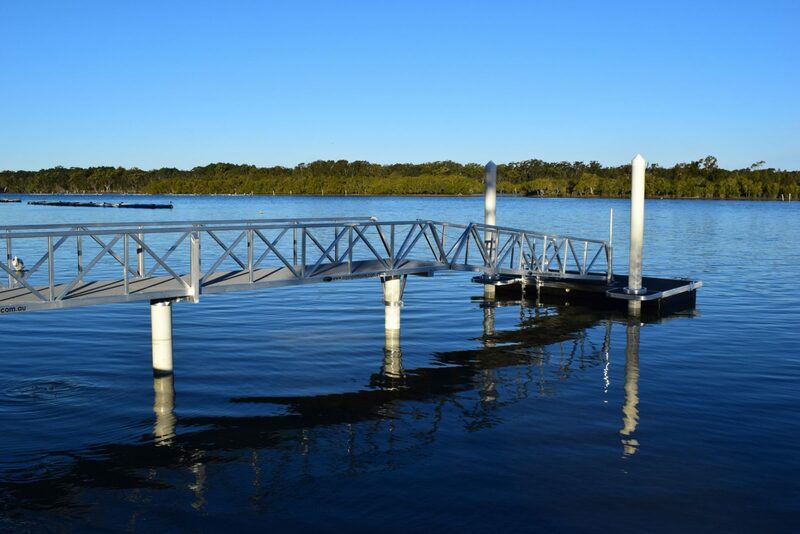 The newest additions are situated 2.5 metres off the ground overlooking the Nambucca River. 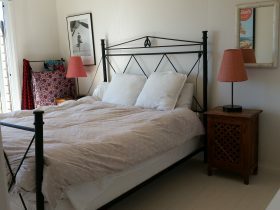 Main bedroom has a queen bed, split system and 24″ television. Second bedroom has two king single double bunks and split system. Kitchenette with microwave and twin cooktop. Full size fridge, bathroom with shower and toilet, washing machine/dryer combo, dining setting, two couches, 40″ flatscreen television, large deck with outdoor dining setting, parking space beneath cabin, stairs. Accommodates up to six people. Two cabins available. Perfect for large groups. Absolute riverfront sites available that are suitable for vans, motorhomes, camper trailers and tents up to 11 metres. 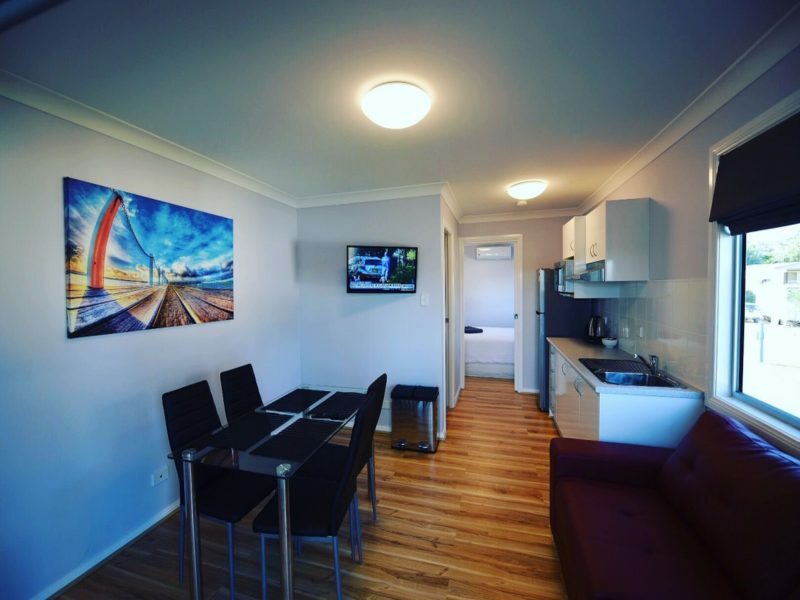 Features include: power outlet, water tap, television aerial connection, large grassed area, car parking on site, close to barbecue area and amenities block and additional boat parking available off-site. You can even moor your boat in front of your site! 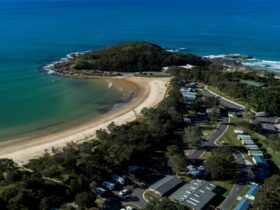 Features include: grassy sites, water tap, power outlet, television aerial connection, car parking on site, additional boat parking available on site and close to the amenities block. Drive through sites may be available upon request. Grassy riverfront unpowered sites are available. 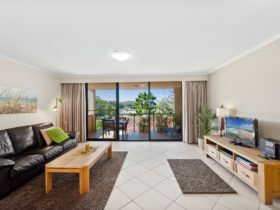 They have spectacular views of the river and offer great value for money. Fish from your site.